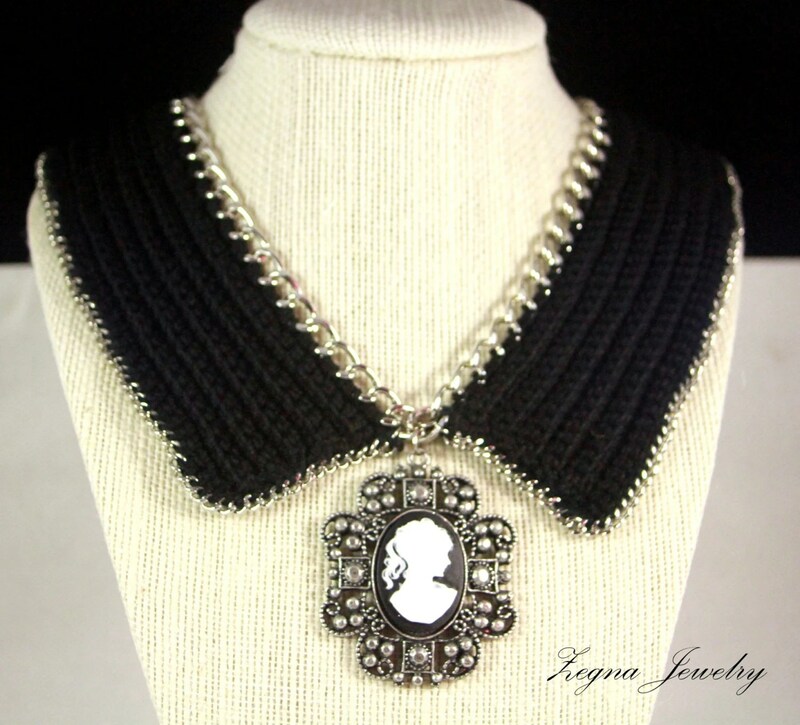 Beautiful and elegance is crochet of cotton yarn and trimmed with 2 types of chain. 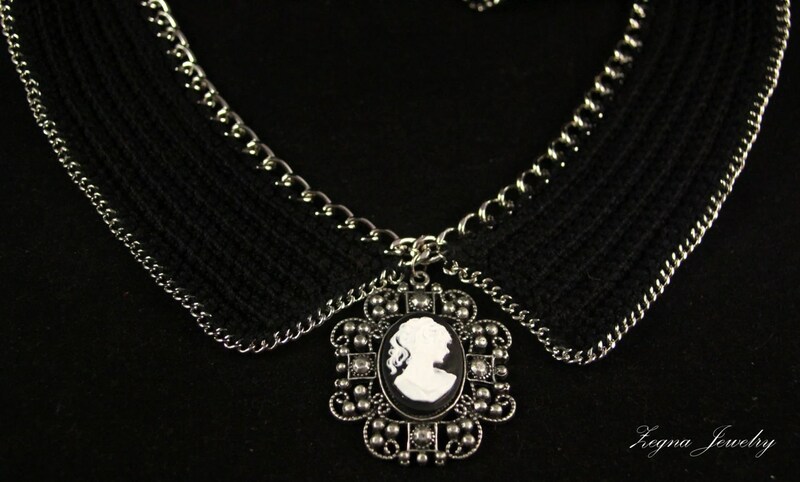 Vintage looking removable Cameo makes it perfect for any occasions. Day or night! Torre del Greco, a town near Mt. Vesusius in Italy, is the Cameo Capital of the world. Cameos were favored jewelry of rulers such as Catherine the Great, Queen Victoria, Emperor Napolean and his wife Josephine. From the Civil War to the World War II era, cameos were the most popular pieces of jewelry most women owned.